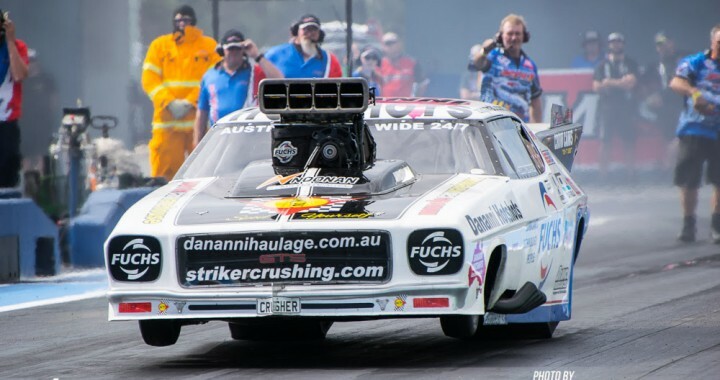 Zappia had his spare motor in the Fuchs/Dananni Hotshots Monaro for his home track after breaking the crankshaft of his main engine at the Santo’s Summer Thunder event last month. With virtually identical parts there was no shortage of Noonan horsepower on board. “The Sydney deal saw a broken crankshaft do a fair bit of damage,” Zappia said. “The vibrations broke and shook loose a lot of parts around the engine area. 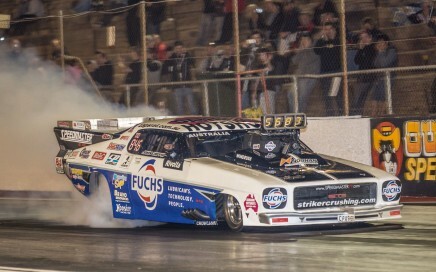 The Zappia Racing crew did a great job of rebuilding the car and getting it into tip top shape. 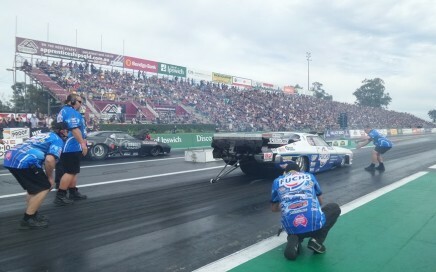 The first step during Nitro Night was qualifying and the team approached the first session with a safe tune up with so many forced changes to their normal setup. Zappia and his expert team fine tuned the motor for the second qualifying session and found improvement. 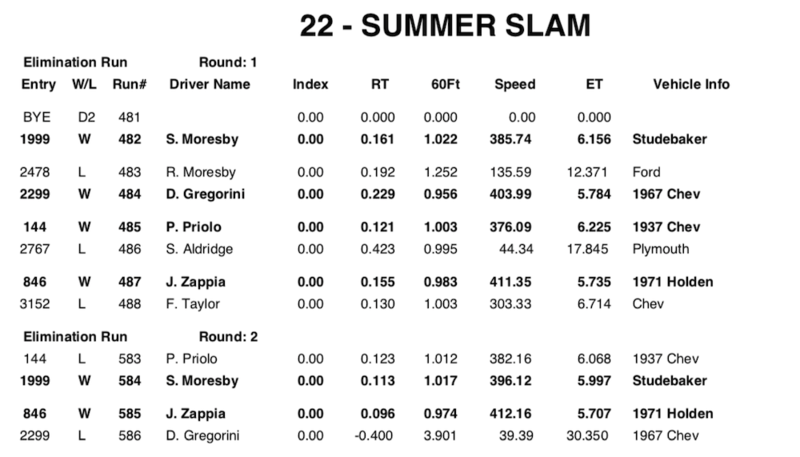 “We trimmed it up a bit and it went a 5.83 in the compulsory qualifier, which qualified us second behind Daniel Gregorini’s 5.78 personal best,” he said. 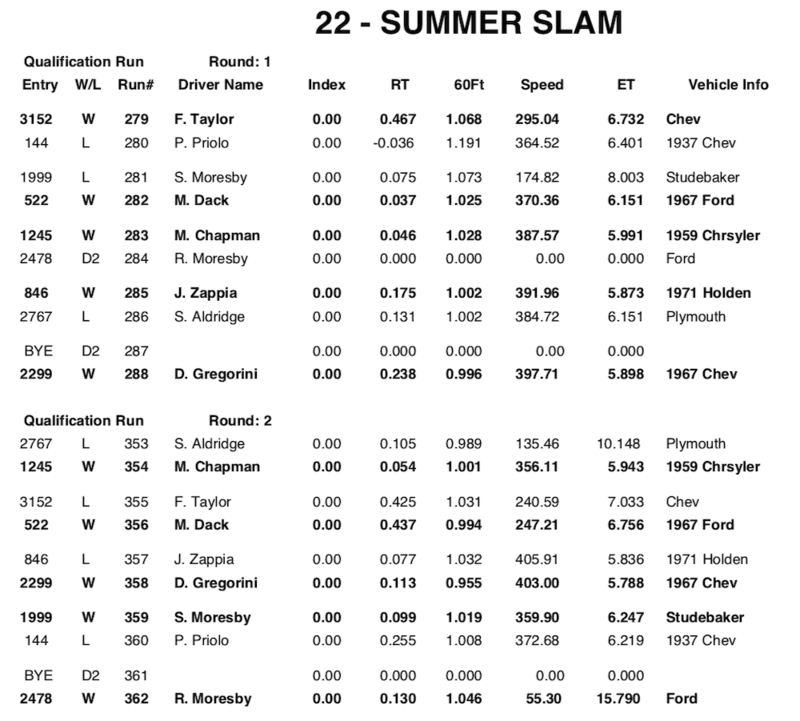 Eliminations beckoned, where Zappia took on Frank Taylor’s Chevelle. “We stepped it up and found some more performance after finding some things in the pits that were slightly out from where we would normally run them,” Zappia said. 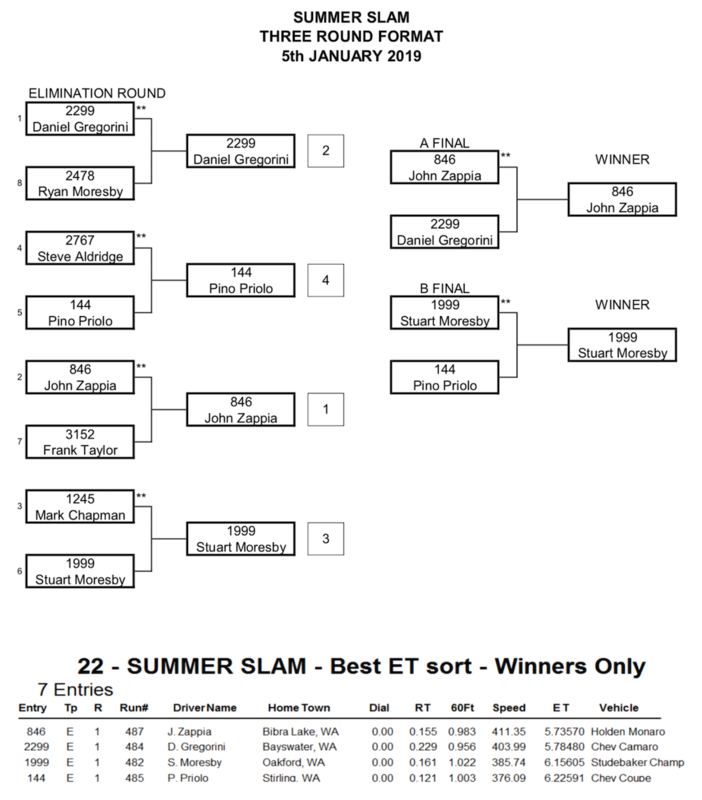 The win saw Zappia into the final of his second Summer Slam event of the season, where he would face top qualifier Gregorini. “We had lane choice by five hundredths of a second and in our preferred left lane we were hoping to be back in the five sixties,” Zappia said. Unfortunately Gregorini received a red light on the start line, denying what would have been an entertaining final round. 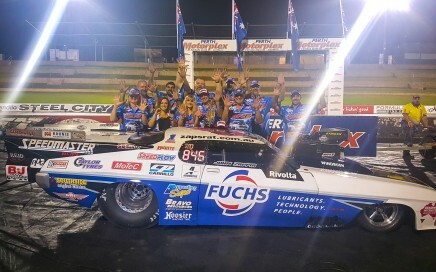 Zappia will be back at Perth Motorplex in just over a week for round six of the WA Drag Racing Championships where he will compete in Top Comp. 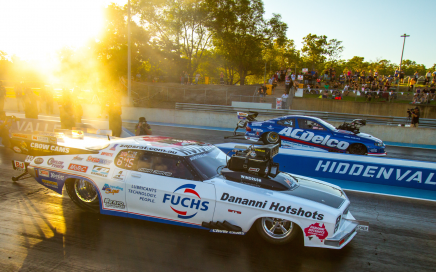 “We have good speed at the moment so hopefully we have an event without a headwind and we can really see what the Fuchs/Dananni Hotshots Monaro will do,” he said. John Zappia has just finished testing in the Noonan Camaro in Tulsa USA and run a 3.69 @ 204.94mph to be the quickest blower car for the day.